Growing your own food is not just a fun family activity — it's also a great way to save money on healthy produce! If you are planning a backyard vegetable garden, square foot gardening is an easy and practical way to plan your space. Peat moss improves soil texture, making it easier for roots to grow. Vermiculite acts like a sponge to absorb and retain moisture in the soil. 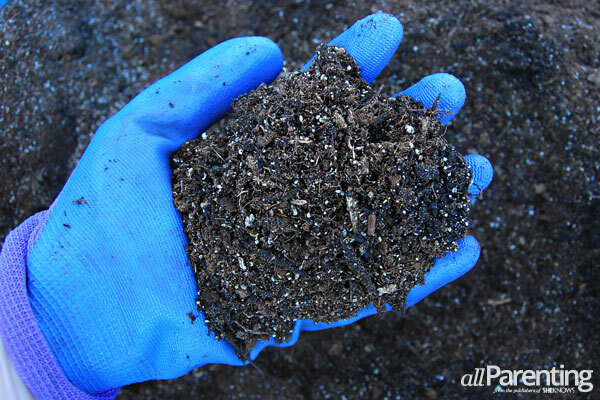 Compost manure adds nutrients to the soil, without the need for synthetic fertilizers. In a large tub or wheelbarrow, mix together equal parts of the three ingredients to form your square foot garden soil mixture. Fill your garden beds with the soil mixture. A standard square foot garden bed is 4 x 4-feet, but you can make your bed as big or as small as you'd like. If your beds are particularly deep, it's OK to fill the bottom portion with ordinary top soil. Just be sure that the top six inches consist of the soil blend. If you are planting straight into the ground, work the soil mixture into your existing ground soil. Next, create the square foot grid for your garden. 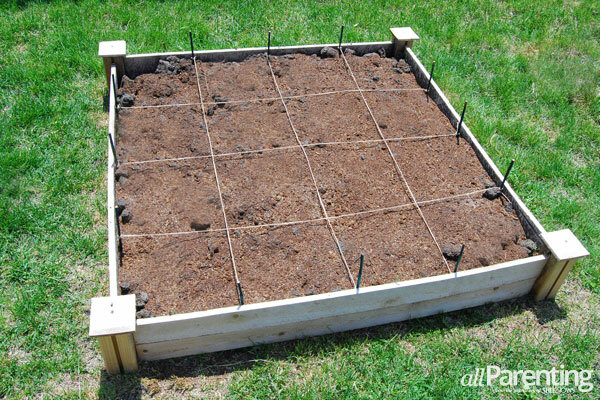 Drive stakes in the ground every 12 inches around the perimeter of your garden bed. Tie twine to the stakes to create the square foot grid pattern. Having each square foot marked off will help you stay organized when planting. Extra-large plants - Plant one extra-large plant per square foot. Extra-large plants include tomatoes, peppers, broccoli, cabbage and melons. Large plants - Large plants can be planted four to a square. Examples of large plants include leaf lettuce and parsley. Medium plants - Beans, spinach and turnips are all medium plants and can be planted nine per square. Small plants - Small plants can be planted 16 to a square. Carrots, radishes, beets and onions are all considered small plants. If you plan on planting your own seedlings, start the seeds indoors for six to eight weeks before the last frost of the season. If you would prefer not to grow your own seedlings, you can always purchase nursery grown plants from the store, or plant seeds directly in the ground. Once the threat of frost has passed, you are free to begin planting. 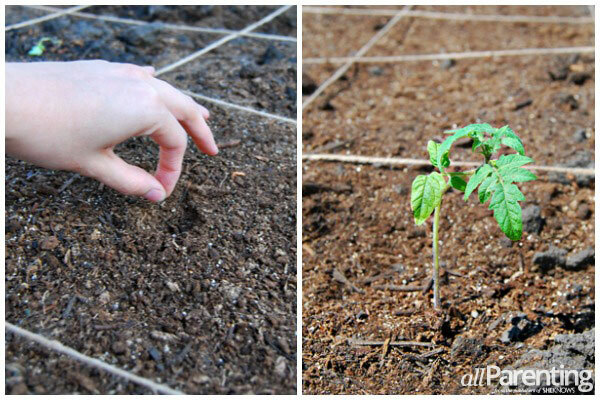 Dig a small well for your seedling, place the plant in the hole, and cover the base of the plant with soil. Once your seedlings (or seeds) are in the ground, give them a healthy drink of water, and then watch your square foot garden grow!